The proliferation of information and communication technology has made exchange of information easier than ever. Security and copyright protection of multimedia contents in such a scenario has become a major challenge for the research community round the globe. Digital watermarking has been found as an effective tool for protection and security of multimedia content. 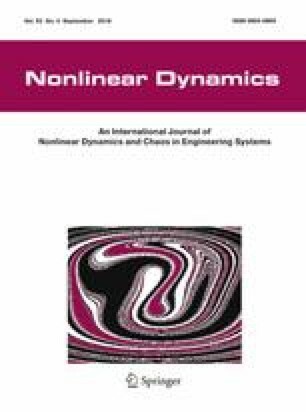 A secure and robust watermarking scheme based on DC coefficient modification in pixel domain and a modified logistic map is presented in this paper. The cover image is divided into \(8 \times 8\) sub-blocks and instead of computing DC coefficient using discrete cosine transform (DCT), we compute DC coefficient of each block in spatial domain. Watermark bits are embedded by modifying DC coefficients of various blocks in spatial domain. The quantum of change to be brought in various pixels of a block for embedding watermark bit depends upon DC coefficient of respective blocks, nature of watermark bit (0 or 1) to be embedded and the adjustment factor. The security of embedded watermark has been taken care of by using chaotic encryption based on a generalized logistic map (GLM). We show that GLM has better properties like ergodicity, larger lyapunov exponent, uniform invariant density, mixing, higher range of bifurcation parameter etc., compared to basic logistic map. We exploit these properties of GLM for designing a secure robust, strong efficient cryptosystem to encrypt the watermark information before embedding it. Experimental investigations show that besides being highly secure the proposed technique is robust to both signal processing and geometric attacks. Further, the proposed scheme is computationally efficient as DC coefficient which holds the information is computed in pixel domain instead of using DCT on an image block. The authors acknowledge the support rendered by University Grants Commission (UGC) Government of India under its SAP programme for conduct of this work.